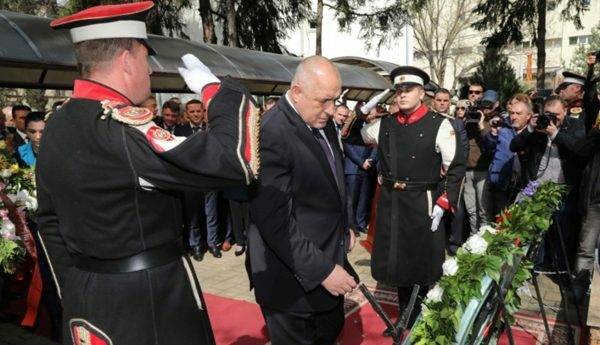 Boiko Borissov became, on March 12 2018, the first Bulgarian Prime Minister to travel to Skopje to join his Macedonian counterpart in mourning for that country’s Jews deported to the Holocaust 75 years ago. Previously, at annual ceremonies in Skopje of mourning for the more than 7000 Jews who were sent to the Nazi death camps, Bulgaria was represented at ambassadorial level. The presence of the Bulgarian head of government was a sign of improved cordiality between Sofia and Skopje. At the time of the 1943 deportations, territories in then-Yugoslavia and northern Greece were under the administration of Bulgaria, which in the Second World War allied itself to Hitler’s axis. In spite of media speculation ahead of his visit, Borissov did not directly apologise for the role of Bulgarians in the deportations, and in their speeches, Macedonian Prime Minister Zoran Zaev and the head of the Association of Jewish Communities in Macedonia, Dr Berta Romano Nikolic, made no reference to this role. At the ceremony, held at the building of the tobacco warehouse that was used to hold Jews pending their deportation, Zaev – who had embraced Borissov warmly on his arrival – made specific reference to the presence of the Bulgarian Prime Minister, as well as several other guests from elsewhere in Europe, saying: “Friendship and unity flourish nowadays. Our choice is not hatred. Co-operation and friendship are our mission”. 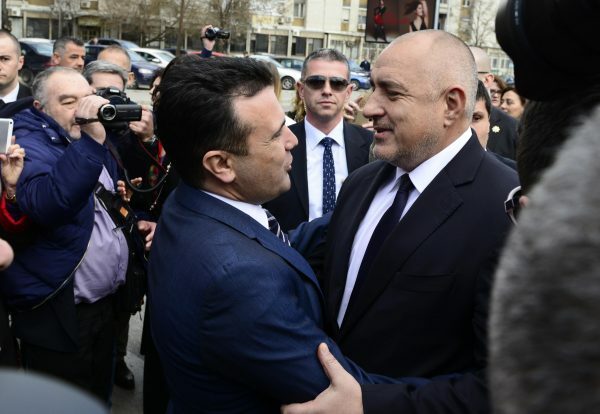 In their speeches, Borissov and Zaev both emphasised the importance of the memory of the past, while also focusing on the necessity of working constructively towards the future. 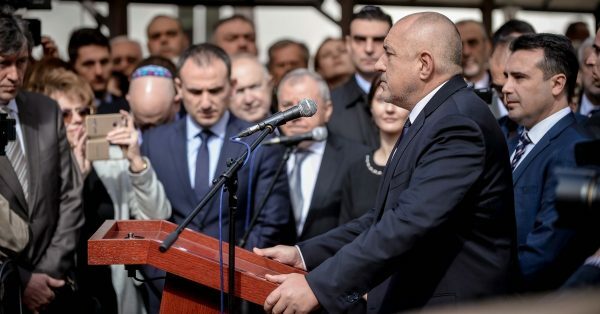 “We mourn with the Macedonian people for those who failed to escape the Nazi machine,” Borissov said. “We must not forget this part of history and we should not make such mistakes,” he said. He referred to the violence in the Balkans 20 years ago, emphasising that it was for this reason “we have to build, to work together, that our people live happily”. Today’s politicians bore this responsibility, he said. Borissov was accompanied to the ceremony in Skopje by a delegation of leaders and members of the Bulgarian Jewish community, representatives of the World Jewish Congress, and of the Bulgarian Jewish community in Israel, who had come to Bulgaria for the 75th anniversary commemorations of the rescue of the Bulgarian Jews and the mourning for the Jews deported from Yugoslavia and northern Greece. 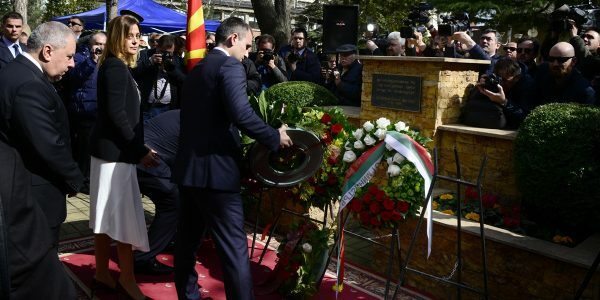 Zaev said that the ceremony in Skopje commemorated not only the 7144 Jews from Skopje, Bitola and Stip who were deported, but also from all of Macedonia who were rounded up and sent to their deaths. “Their biggest ‘offence’,” Zaev said, “was their existence, their culture, their tradition, their community. They were punished with the most dishonourable sentence and prematurely removed from their loved ones, from their country, from their lives. The genocide of the Jews in the Second World War was the struggle of destructive and anti-civilisation forces against all goodness and love, against friendship and humankind”. 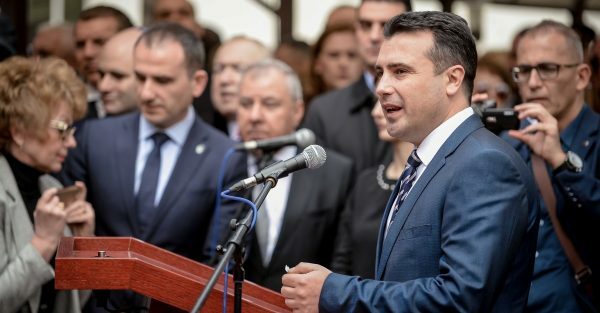 The Holocaust was a fight against people, freedom and unity, Zaev said. “Our unity in condemning and remembrance of the deportation of our fellow citizens to the Treblinka death camp is more than just symbolic. Today we are repeating the lessons from the past, in order to further illuminate the roadmap for the future that we have jointly chosen. Hatred is not our choice. Acceptance of diversity, love for one’s neighbour, but also respect for the other, support, co-operation and friendship are the values ​​that we accept with our thoughts and hearts, and we keep them with our deeds,” the Macedonian Prime Minister said.